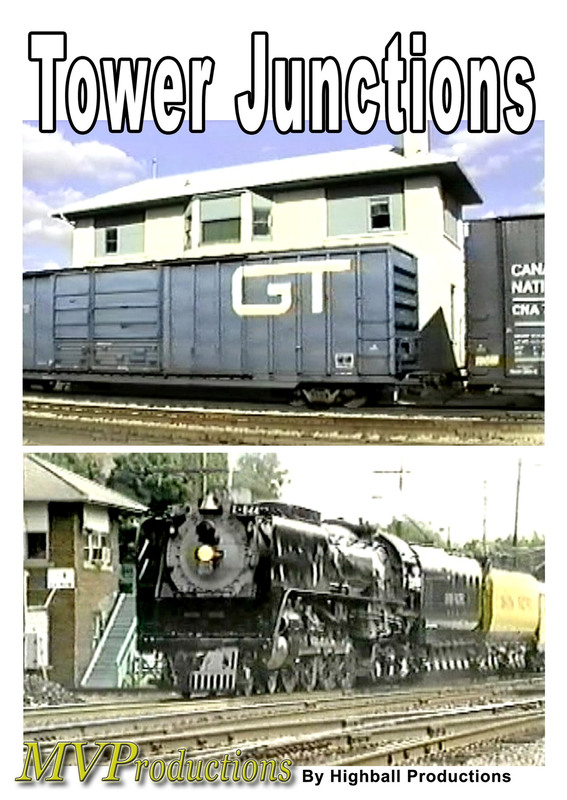 The late 1990's saw something in the Chicago area that had long ago started to disappear elsewhere: Towers at railroad junctions. Towers are interesting by themselves, but the junction means lots of traffic! 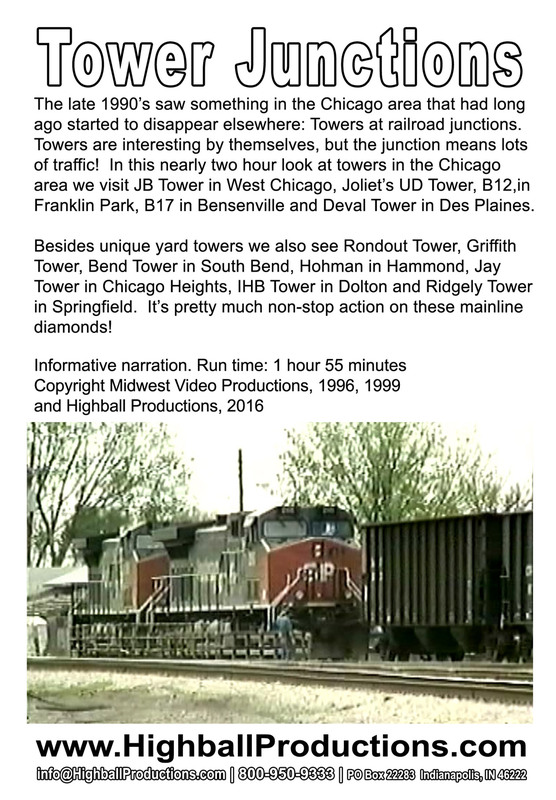 In this nearly two hour look at towers in the Chicago area, we visit JB Tower in West Chicago, Joliet's UD Tower, B12, in Franklin Park, B17 in Bensenville and Deval Tower in Des Plaines. Besides unique yard towers we also see Rondout Tower, Griffith Tower, Bend Tower in South Bend, Hohman in Hammond, Jay Tower in Chicago Heights, IHB Tower in Dolton and Ridgely Tower in Springfield. It's pretty much non-stop action on these mainline diamonds!